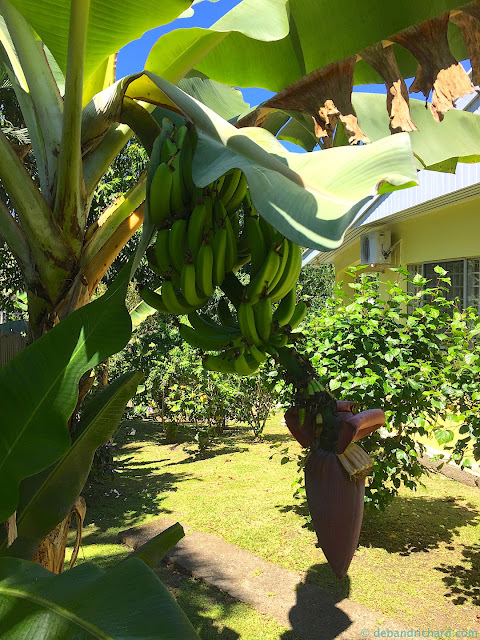 So after TC Winston there was a banana drought in Fiji....as in for a good 2 or 3 months NO bananas anywhere. It was so weird....since growing up you always could get bananas. Apparently the storm badly damage the trees and wiped out any fruit that was growing on trees. We even had some growing when we moved in that was bad. 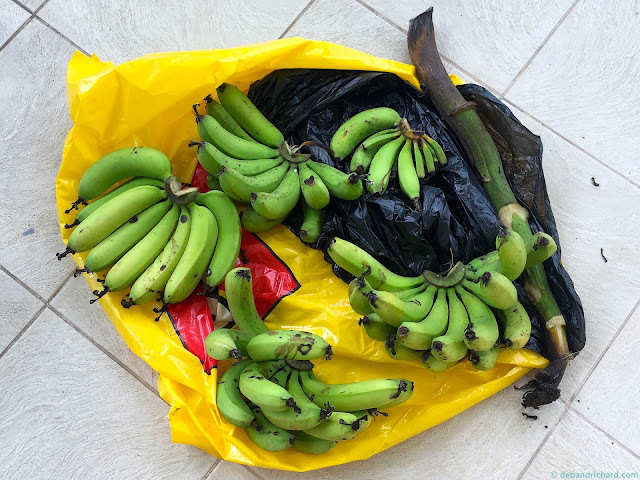 Bananas started coming back but prices were insane at first ($20FJD for half a hand of bananas).....thankfully they are back down to $5FJD for a hand of bananas! 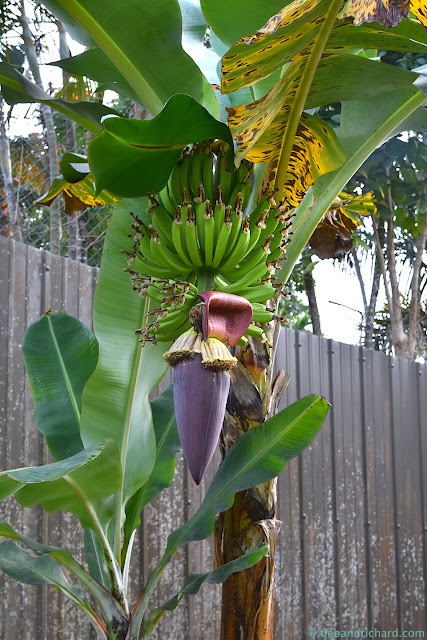 The yard at our new house has a number of banana trees, so we patiently waited for something to occur. Finally, in the beginning of September we had a bloom. The next day the bloom was starting to open! 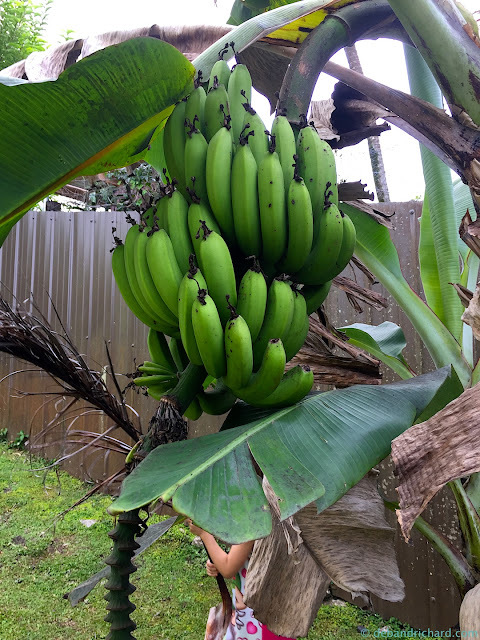 On 9/9 - looks like about six hand of bananas already! Everyday more petals are falling off. 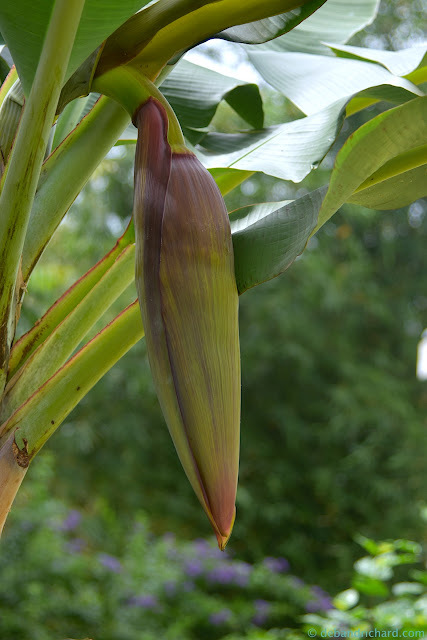 On 9/15 - the flower continues to open but the little miniature bananas just fall off. I guess our tree doesn't have enough root fuel to produce any more hands. Same day, just a different angle. 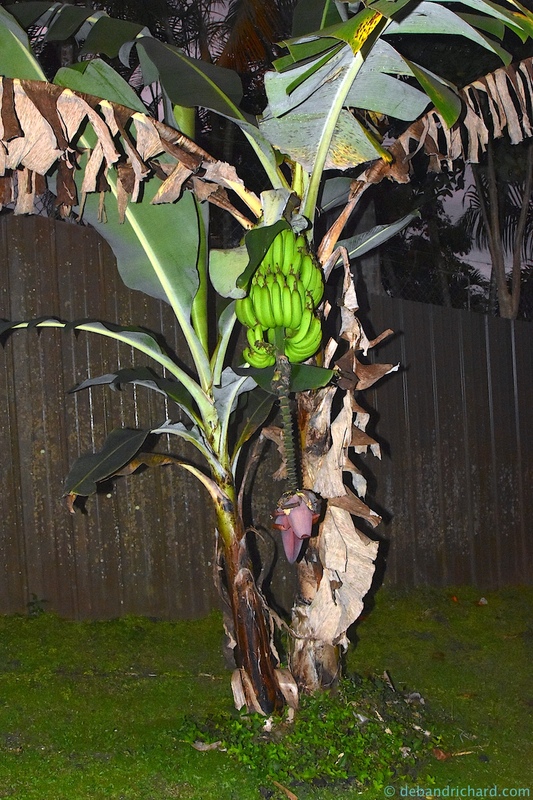 On 9/22 - still dropping petals and miniature bananas. 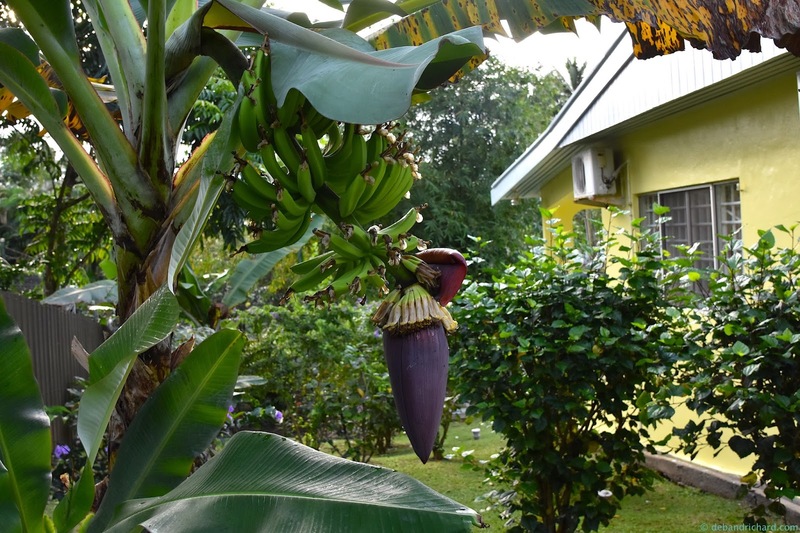 The other hands of bananas continue to grow. On 11/3 - oops....I have failed to take any banana shots in October, not much excitement going on. 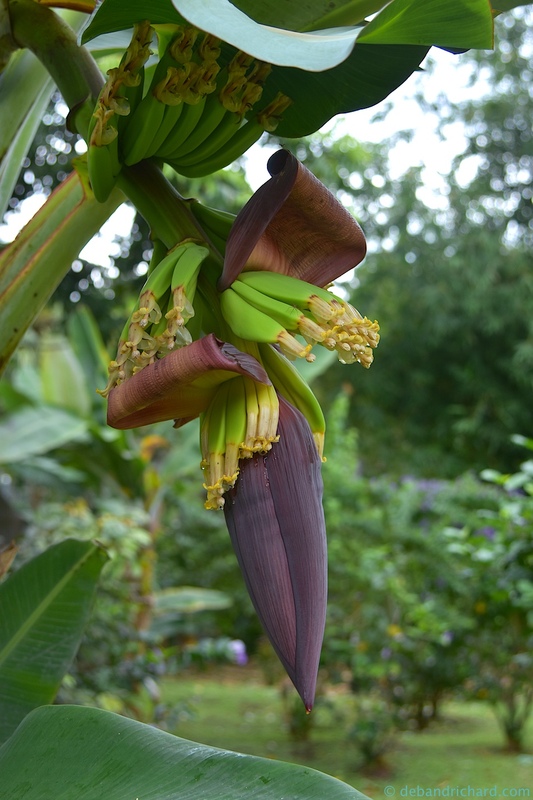 The bananas have continued to grow and more petals have fallen off the flower. 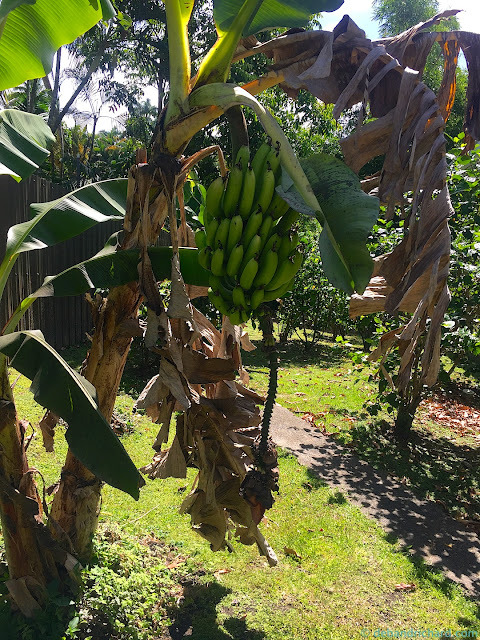 On 11/12 - still very green bananas. Not much flower left. 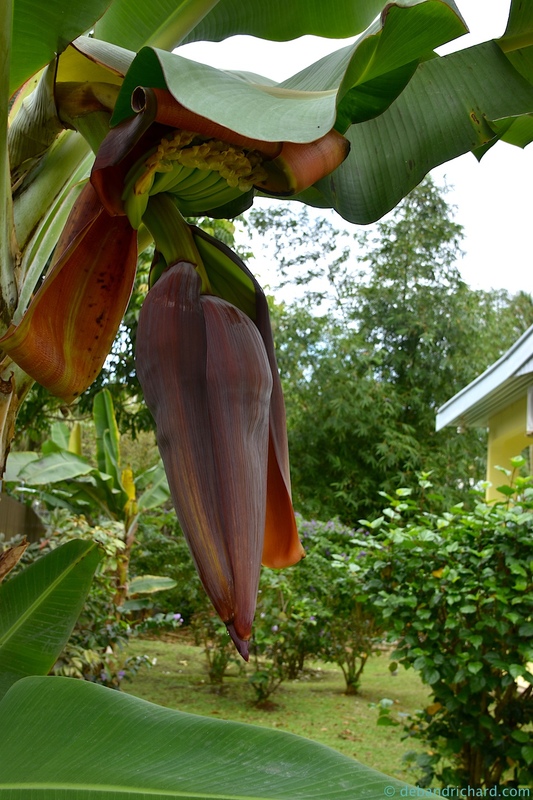 As you notice, the banana tree itself is starting to die. 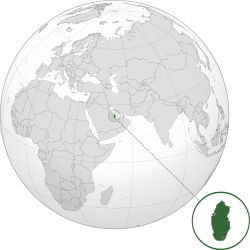 Once a banana tree fruits, it dies but it has sent how rhizomes that grow into new trees. Close up of the beauties....dreaming of all the smoothies we will make. 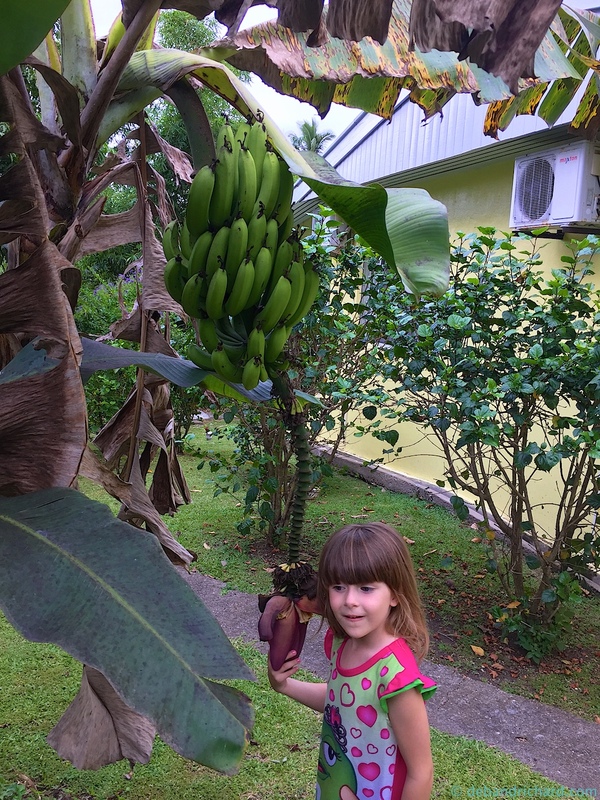 On 11/25 - the day before our gardener cut the bananas down! He then put the bananas in our shed in a plastic bag so the gas they give off would help speed up the last of the ripening. He then dug up/took out the rest of the tree. 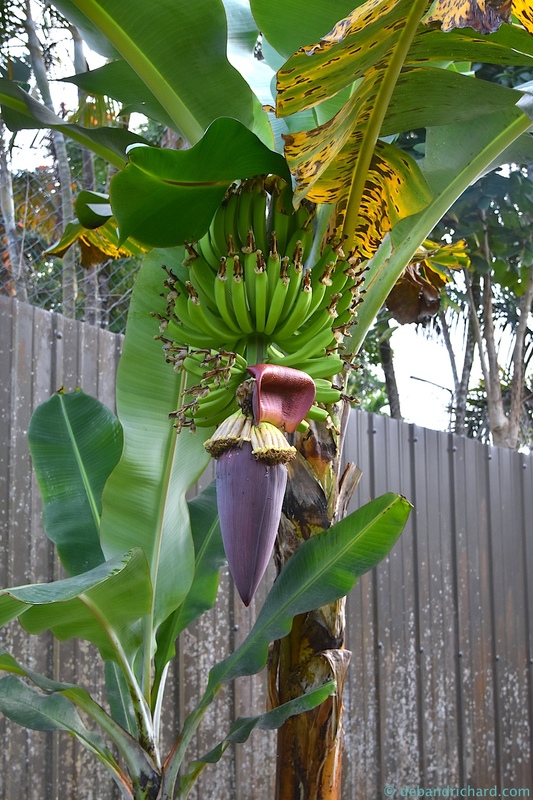 On 12/9 - though not super yellow they are ready to eat. This is our first crop (less two hands...one that we'd already started eating and one we'd given to Malika). 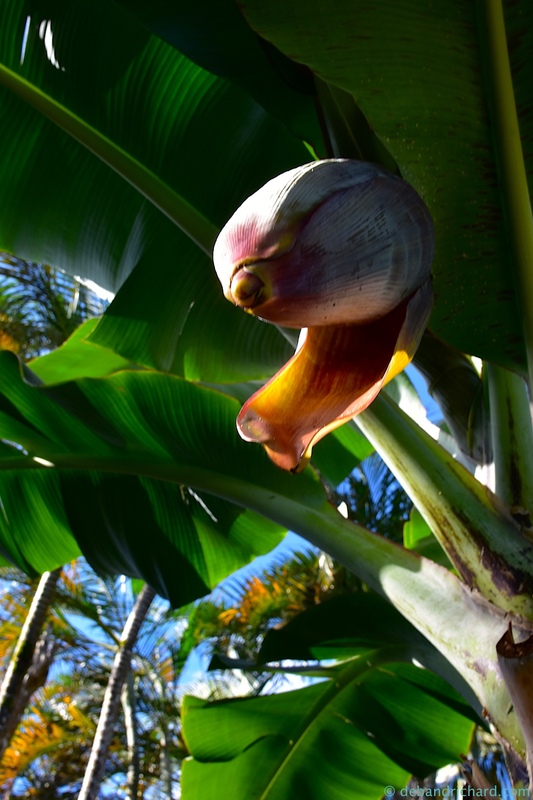 So once we spot a bloom, we now know it will be about 3 months till we have banana overload! Well documented! 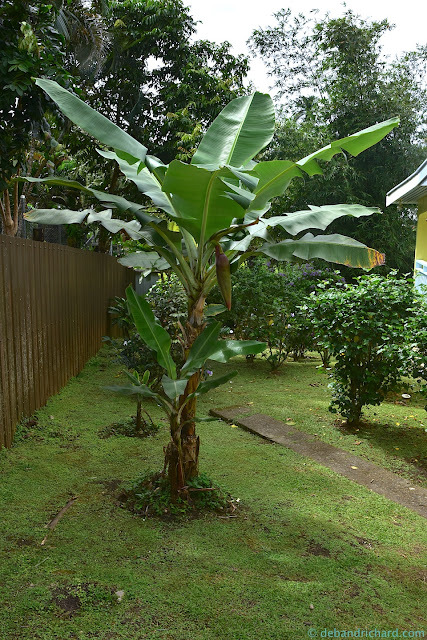 The very first time I saw a banana plant I was totally thrown that they grow pointing up.